I am a huge fan of Lush products, natural handmade cosmetics. I want to tell you about a few of them I have tried. 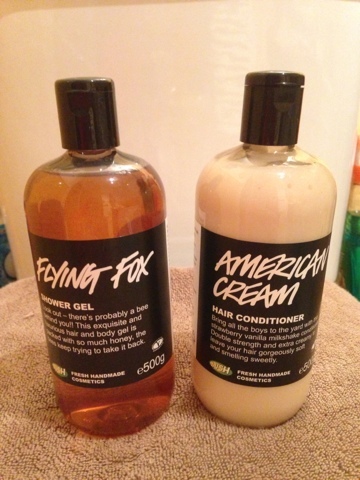 The Flying Fox shower gel which smells amazing and can be used as shampoo as well. 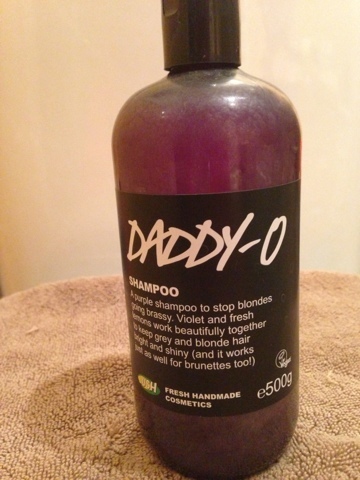 I decided to give my hair a full Lush treatment and used the Flying Fox and them Daddy-o, a shampoo for blonde coloured hair. It is supposed to keep the hair nice and blonde with no brassy tones, I think it works, I use it every now and then. After that I used the American cream conditioner. It makes your hair smell amazing all day. 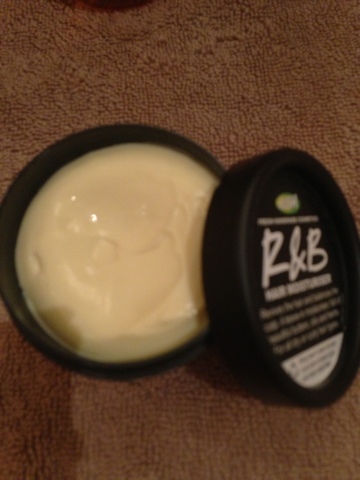 Then I used R&B hair moisturiser. I bought this product as a miracle has happened in the shop when I was trying it- it was raining my hair was, hmmm very frizzy to say the least. :-) I used it on dry hair as the shop assistant recommended and it worked (miracle!) and my hair actually stayed frizz free for the rest of the rainy day! If you know me, you can really appreciate what I mean when I say miracle. :-) This product is designer for African hair but it works miracles for blonde frizzballs like me. Also it smells amazing and you can add it on during the day if you want, it does not weigh the hair down at all. Here it is. Great blog. Thanks for sharing these great products.